(Newser) – Stock indexes ended barely higher on Wall Street Wednesday after a day of quiet, post-holiday trading, per the AP. 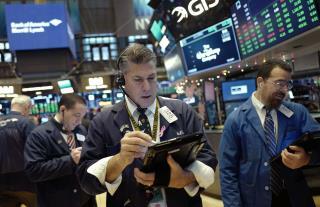 The Dow Jones industrial average climbed 28 points, or 0.1%, to 24,774. The Nasdaq composite rose 3 points, or 0.04%, to 6,939, and the Standard & Poor's 500 index rose 2 points, or 0.1%, to 2,682. Technology and health care stocks helped pull the market slightly higher. Facebook rose 0.9% and Western Digital climbed 1.2%. Homebuilders notched gains following a report that pending US home sales edged up last month. Hovnanian rose 2.1%. Energy stocks declined as crude oil prices headed lower. ConocoPhillips fell 1.1%.